Famous Prayers - 10 Inspiring and Beautiful Prayers! 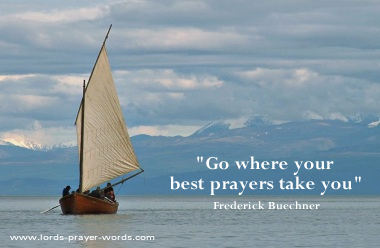 Featured on this page are 10 popular and well-loved prayers. Many of these famous prayers are drawn from the Anglo-Catholic traditions of prayer, such as the Prayer of St Francis ("Lord, Make Me a Channel of Your Peace") and the Prayer of St Richard ("Day by Day" prayer),whereas "May the Lord Bless You" has it's origins in Judism but is also often used in Christian gatherings. Taken from the most popular psalm in the bible (psalm 23) The Lord is My Shepherd provides us with a beautiful reminder of the love and care God has for His people. This page also features prayers from the heritage of the celtic christians in Britain and Ireland, such as "St Patrick's Breastplate", (otherwise known as "I Arise Today") and "May the Road Rise Up to Meet You". 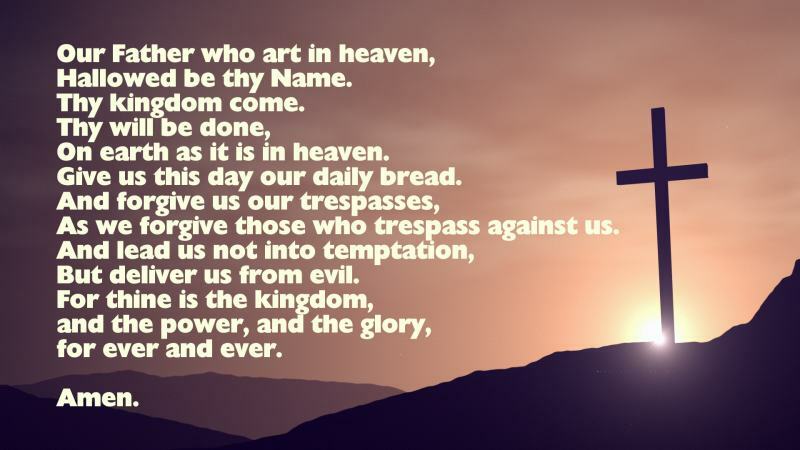 We begin with two of the most popular prayers spoken today - "The Lord's Prayer" (the way that Jesus taught us to pray), and the "Serenity Prayer" (a prayer made famous by the work of Alcoholics Anonymous). Find out more about what this prayer means here. 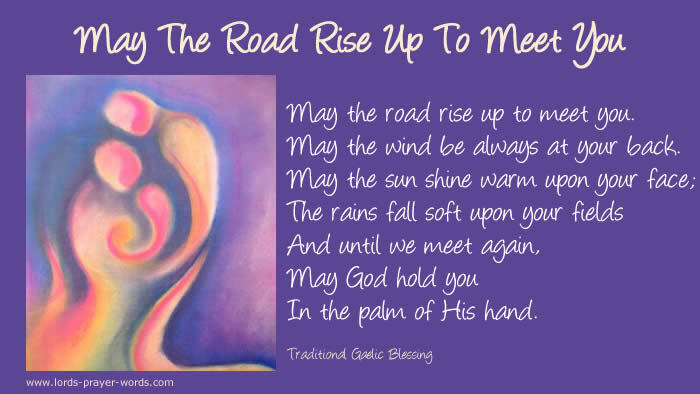 an ancient Irish blessing popular as a choice at weddings and other church services. 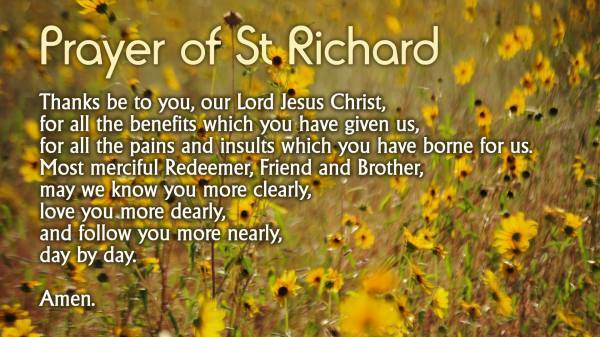 A beautiful prayer dating back to the 13th Century, said to have been uttered by St Richard, Bishop of Chichester, in his final hours. A popular Catholic prayer, the "Glory Be" (also known by it's Latin name "Gloria Patri") is a doxology, that is, a short confession of worship to God. A prayer for success and blessing. Read more about this unusual prayer here. A prayer made famous by the popular song "Make Me a Channel of Your Peace". Read the full version of this beautiful prayer here. Psalm 23 likens the human care of a shepherd for his sheep with the eternal care of God with his children. As such "The Lord is my Shepherd" is often read at funerals. This is an excerpt from a much longer prayer attributed to St Patrick, the 5th Century Irish missionary. Read the full version of this inspirational prayer here. Many people find this helpful. Perhaps there is a place in the house where you can go and "close the door" and remind yourself that God is with you, that He cares for you. A place where you can pour your heart out to Him. A place you can hear His "still small voice"
Going outside, enjoying creation, these things can be helpful to clear the mind and converse with God. You might find as you walk that your mind naturally starts to think about the day, perhaps you are meeting a friend or you become aware of something that needs to be done. Instead of worrying about these things, give them over to your Father in Heaven, who cares so much more for you than the birds of the air. Some people find it easier to write their prayers down, as if they are writing a letter to a close friend. Remember that you can be as honest and open as you like with God. There is nothing he has not seen before! And His forgiveness is without boundaries. You may wish to turn your writing into a book, creating a daily prayer journal. You could also keep a note here of anything that you feel God may be saying to you. • Read the newspaper and pray! Watching the T.V. or reading a news item and then stopping to pray is a good way of praying for others. Praying for others is known as "intercession". It's good to be informed as you talk to God about these things, and as you pray specifically for people and events. Poetry is a very powerful medium for communicating ideas and inner thoughts with. Much of the psalms in the Old Testament are poetic prayers. You might like to try writing a modern day psalm. Writing your thoughts down about God can be a refreshing and rewarding experience. How about painting a prayer? This could be done simply with a few crayons and some paper, or more elaborately with a huge canvas and some oil paints! Do you play an instrument? Express your love for God as you blow through your flute or strum your guitar. 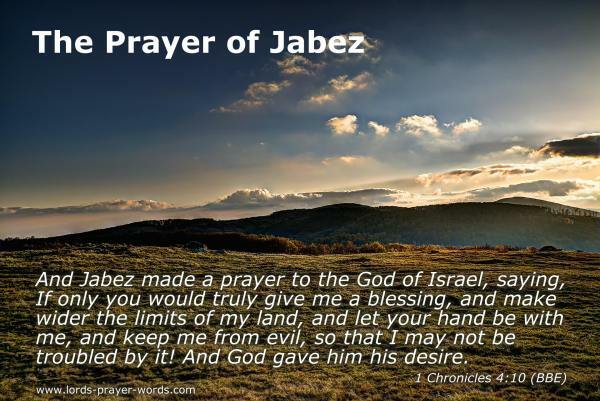 King David in the psalms said that he was a prayer for God. Present your whole being to the Lord as you exercise your creativity! • Join a prayer group, or start one! Jesus said "Where two or three are gathered, there I am in the midst of them". We become aware of God's presence with us in a special way as we pray with others. It might be that there is a prayer group at your local church that you could join. Or why not help organise a week of prayer? 24/7 prayer.com have some great resources for helping people pray together in this way.